I think it’s hard to put yourself in the context of the times, but you have to try. Remember how amazing Star Wars was and how it felt like movies were never the same after that? Have you watched Star Wars lately? Talk about silly by today’s standards. 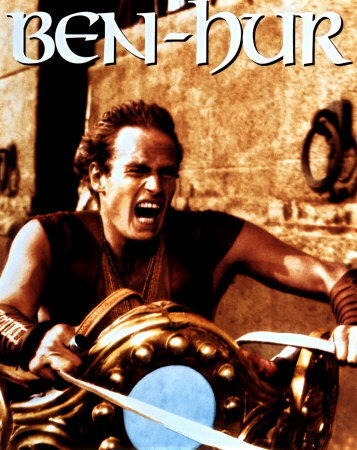 For all its faults, many of today’s blockbusters can trace some part of their lineage back to Ben Hur. For that, if nothing else, I can see why it’s listed in the AFI 100. Nice to see a first impression from a film fan of a revered old film. It’s really hard for a film (or a book for that matter) to live up to all the hype after decades have passed. Sometimes, as in the case of “Prayer for Owen Meany” I think the book really holds up. Other times you just have to scratch your head and wonder what all the fuss was about. A friend of mine recently saw “Medium Cool,” the groundbreaking film by Haskell Wexler, and thought it was disjointed and pointless. This is not to say that we give a free pass to the old epics. They should still have to earn their keep. I don’t think “Birth of a Nation” for example holds up, even considering its time. But what about “Potemkin” or “Metropolis”? Do we not give some style points for being ground breaking and for doing the best they could with the repetoires of the time? Still, it’s fascinating to hear your newbie impressions of Hur. I think the Jesus story is more critical to the meaning of the movie than you give credit for.